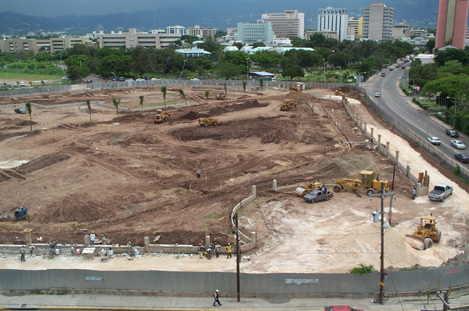 The development of Emancipation Park reads like a famous Cinderella story. For decades, the Liguanea Park stood dusty and bare, bereft of any beauty or character. It was essentially a vast open piece of land where many six-a-side football matches were played and Jamaica Carnival revelers could be seen gyrating to the riveting sound of the soca beat preceding the big road march in April. Then along came its fairy godmother, the National Housing Trust (NHT), committed to transforming the seven-acre dustbowl into a tropical oasis in the heart of Kingston. The NHT Board of Directors together with the former Prime Minister, the Right Honourable PJ Patterson, visualized creating a park in the city where Jamaicans and visitors alike could relax and play. This was however not going to be like any other park, it would instead be a masterpiece of beauty with exquisite plants, lush gardens and rejuvenating water features. The team to develop this project was carefully handpicked by the NHT, which spared no resources in providing Kingston with a world-class landmark. The project team was given a tight deadline of three months to execute the project and turn the dream of creating a beautiful park into reality. Architect Kamau Kambui, armed with detailed research of Jamaica's history chose to create the Park with an influence of Afro-centric designs, hence the significant presence of Adinkra symbols from West Africa being sited throughout the Park. Kambui, noted that these symbols along with the various water features would serve to awaken the spirit of Jamaicans and allow them to reconnect with their rich African heritage. The main entrance of the Park located at the corner of Oxford Road and Knutsford Boulevard, was specifically designed to depict "the birth passage and the process of traveling back to our roots" said Kambui. 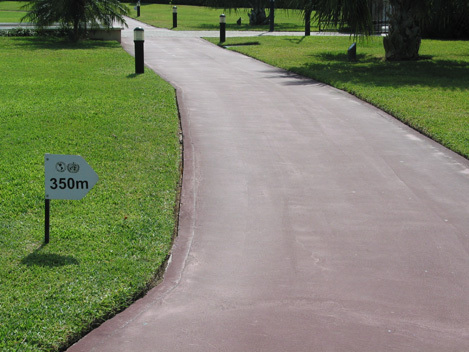 Also worthy of note is the Park's professionally designed 500m jogging track that has enticed joggers and other fitness enthusiasts who start their daily fitness regime from as early as 5a.m. each day. After much determination and the relentless effort of all involved in the development of the Park, it was officially opened on July 31, 2002 in commemoration of Emancipation Day, celebrated on August 1 each year. Since it's opening, Emancipation Park has received hundreds of visitors of all ages each day. It is the perfect setting for a family picnic or a day out with that special someone.